The 2019 inductees smiled for a picture after lighting their candles and signing their names in the NHS induction book. One school year coming to its end arises preparation for the next. 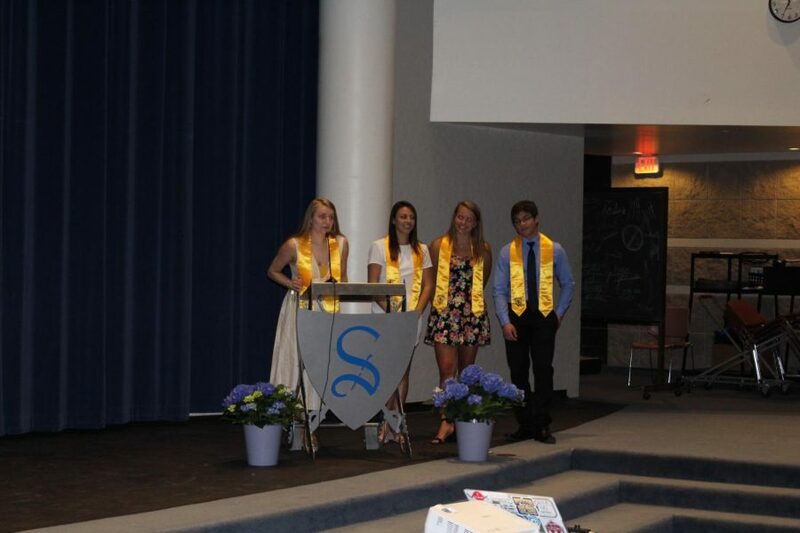 For some Sartell students, that means getting inducted into the school’s National Honor Society (NHS) chapter. National Honors Society is a nationwide organization promoting excellence in four categories: scholarship, service, leadership, and character. 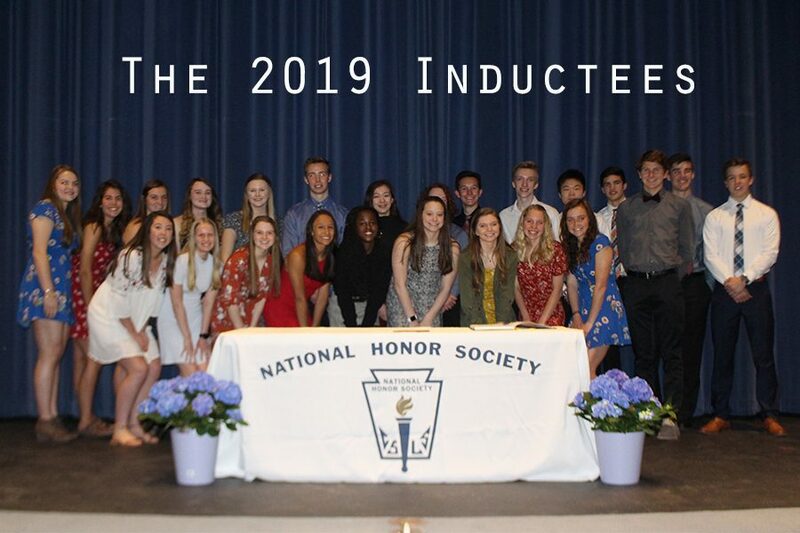 Being a part of NHS recognizes the hard work that students have put into their schooling and personal lives, and it also encourages the students to further their involvement in the school and in the community. The students who participate in NHS spend a lot of time volunteering, and they help the school in other ways as well. Some items that the Sartell NHS chapter has helped with is Funfest, road clean-up, the blood drive, the academic breakfast, teacher appreciation, and a Trick-or-Treat event that collected canned goods. New students were inducted yesterday, April 8th. There were a total of twenty-four inductees who were accompanied by a marshal of their choice. The marshal that the inductees chooses is meant to be someone who the student looks up to and exemplifies the four pillars of NHS in their own life. For many students that person is one of their parents or a teacher. Along with new inductees, the leadership of NHS is also getting a change. The 2018/2019 executive board includes Lauren Lindmeier, Sadie Folsom, Kristin Martens, and Mo Alkhatib. All exec board members are 2019 seniors and will be replaced with the 2020 seniors, Sarah Ufearo, Paige Mackenthun, Ella Krauel, and Christian Knellwolf, for the 2019/2020 school year. Congratulations to all the new inductees and the incoming executive board!